Discharging a firearm in public can result in significant penalties including State prison time if convicted. If you have been arrested for discharging a firearm in public, you should consult with a criminal defense attorney at your earliest convenience to learn about your rights and the defenses that may be available to you. Any person who knowingly discharges a firearm in any public place or on the right-of-way of any paved public road, highway, or street or whosoever knowingly discharges any firearm over the right-of-way of any paved public road, highway, or street or over any occupied premises is guilty of a misdemeanor of the first degree punishable by up to 1 year in the county jail. This does not apply to a person lawfully defending life or property or performing official duties requiring the discharge of a firearm or to a person discharging a firearm on public roads or properties expressly approved for hunting by the Fish and Wildlife Conservation Commission or Division of Forestry. Any occupant of any vehicle who knowingly and willfully discharges any firearm from the vehicle within 1,000 feet of any person commits a felony of the second degree, punishable by up to 15 years in State prison. Any driver or owner of any vehicle, whether or not the owner of the vehicle is occupying the vehicle, who knowingly directs any other person to discharge any firearm from the vehicle commits a felony of the third degree, punishable by up to 5 years in State prison. If you or a loved one have been arrested for a discharging a firearm in public, call the Wilson Law Firm today to speak with an experienced Orlando criminal attorney about your individual situation. In many discharging firearm cases, a properly prepared defense by a criminal lawyer will result in either reduced penalties, reduced charges, or a dismissal of the charges. Even in discharging fireaarm cases where the evidence of guilt is overwhelming, a properly prepared defense and presentation of mitigating circumstances by an Orlando criminal attorney can result in significant decreases in the penalties you receive. Florida Statute 790.15 – Discharging firearm in public. 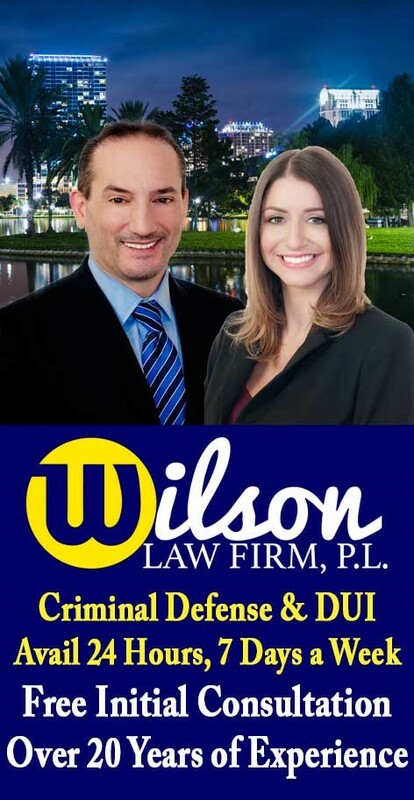 Discharging Firearm Crimes – The Wilson Law Firm provides a free initial consultation with an Orlando criminal attorney. Call us today to speak with an Orange County criminal lawyer about the legal process and your rights.